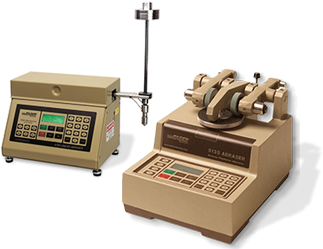 The TABER® Reciprocating Abraser - Model 5900 is a test apparatus similar to the instrument described in test method ISO 1518. 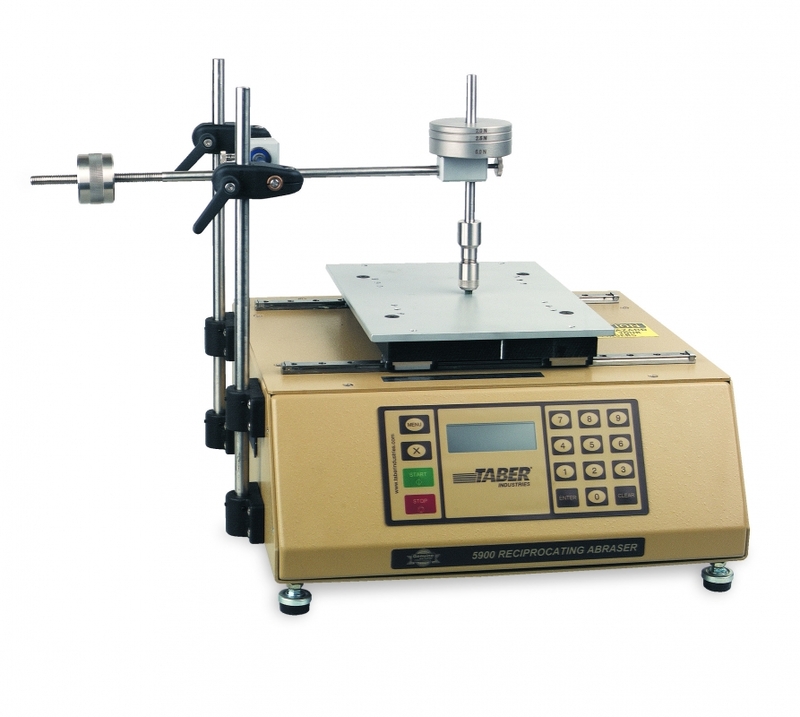 Ideal for flat surfaces, this tester can be configured with optional attachments to evaluate the relative resistance or susceptibility of a material surface to physical damage. Utilizing scratch styli (sold separately), the Taber Reciprocating Abraser allows you to perform single or multiple pass scratch, marring, gouging, scrape, and other similar physical damage. Click here for information on abrasion testing with the Reciprocating Abraser. To expand test loads, an optional weight support may be affixed to the top of the tool holder. This permits using auxiliary weight discs in place of the standard weights supplied with the instrument. Weight discs are sold individually and available as 10g, 20g, 50g, 75g, 100g, 150g or 250g. 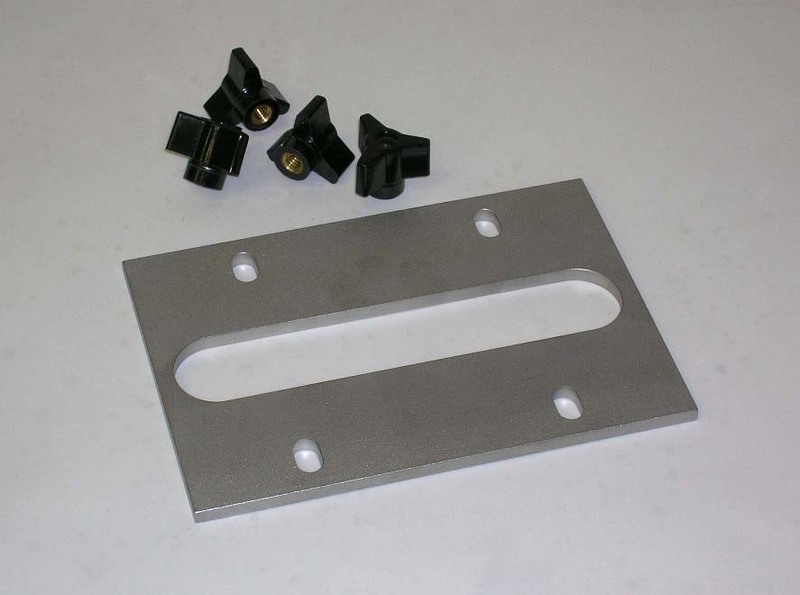 The standard specimen table provided with the Reciprocating Abraser is 216mm x 278mm (8.5" x 11") with drilled tapped holes to accommodate specimen clamps or optional specimen fixing plates. To evaluate most flat specimens, specimen clamps or the optional Wide Slot Fixing Plate may be suitable. Products with a slight contour can also be secured in place using the specimen clamps provided or a custom fixture. For information on Scratch / Mar Attachments for the Reciprocating Abraser, click here. Visual Evaluation - Scratch resistance is normally reported as the minimum load necessary to penetrate the surface of the specimen. The observer increases (decreases) the testing load until the point when a visible line is scratched on the specimen surface. This line should penetrate the surface and not be able to be wiped off. It is also possible to rank scratches based on an existing standard. A standard numeric rating representing 3 to 5 increasing scratches (or what constitutes a Pass / Fail) may be established for each type of material and used solely for comparison to determine test end point. Width/Depth - Use a magnifier to measure the width of the scratch lines. Alternatively, an Optical Micrometer may be used to measure the depth of scratch.